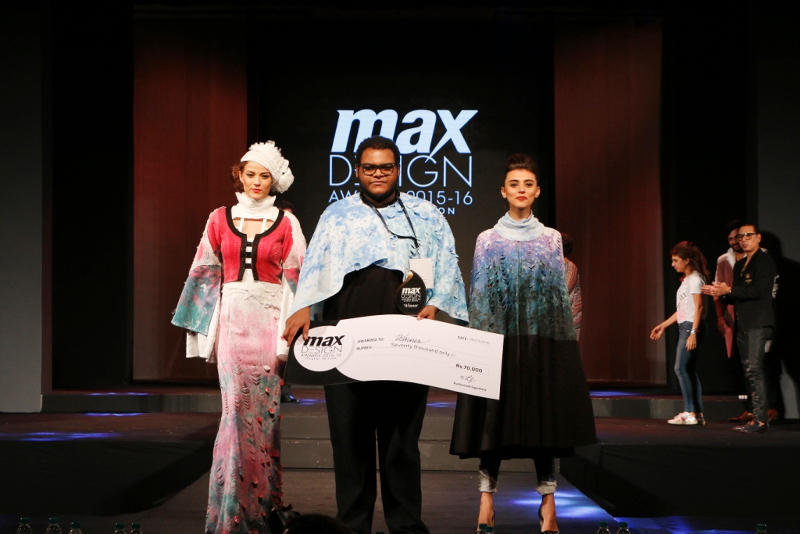 MAX gave students with a passion for fashion design, the opportunity to showcase their skills, meet fashion industry stalwarts, and network with each other as well as professionals in fashion. The program that started in January 2016, witnessed entries from students across various fashion design colleges in India. Students were asked to submit their designs based on theme Heritage Revisited and the response was phenomenal with over 165 entries received pan-India. The entries were judged and top 15 finalists were shortlisted by esteemed panel of jury which included Fashion Designers Monisha Jaising, Rahul Mishra, Troy Costa & Nikhil Thampi along with Executive Director Max Fashion Mr. Vasanth Kumar, AVP Design Max Fashion Kamakshi Kaul and Project Head Marc Robinson. These finalists were given a certain budget and timeframe to produce garments as per their sketches, for the grand finale. 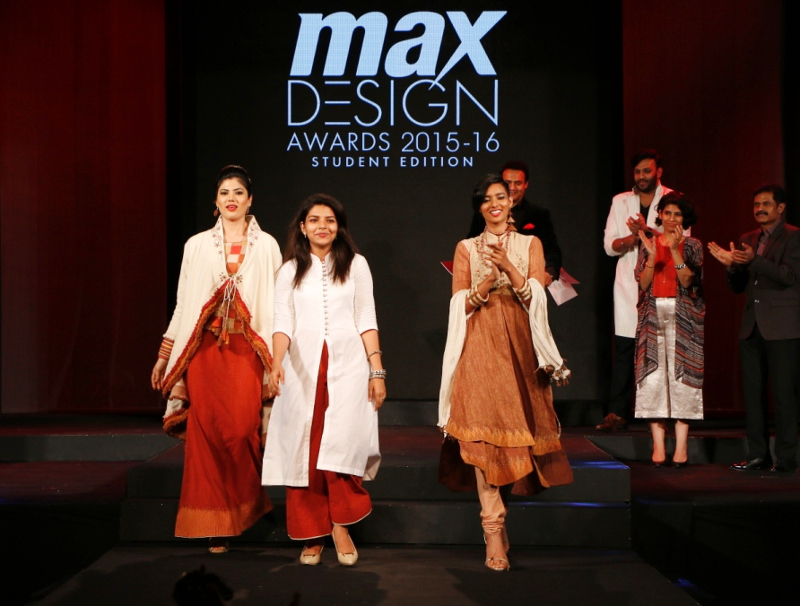 Rounding off the month, Max Design Awards had its Grand Finale at Sophia College that showcased 15 design students feature 02 different outfits designed by them. The inspiration behind the fashion show was to let each student create designs that would inspire them based on this year’s theme. Top 3 Winners were gratified with cash prize of Rs. 70,000, 60,000 and 50,000, Photo feature in leading fashion magazine Elle India and 3 months internship with renowned designers such as Monisha Jaising, Rahul Mishra, Troy Costa & Nikhil Thampi. 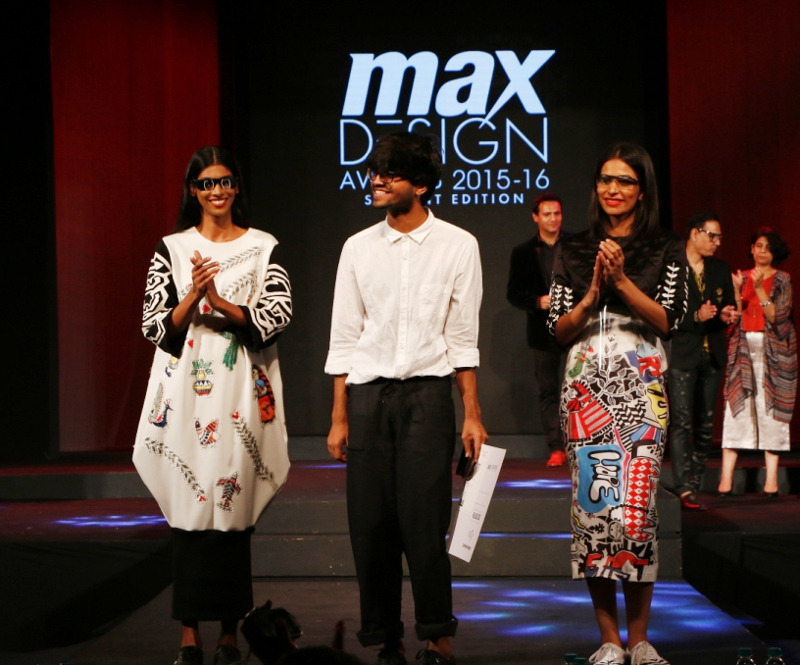 The winner, Rajesh Nichani got a chance to work with Max, the leading international fashion brand in India. He also got a special reward in the form of 3 weeks Summer program with Istituto Marangoni at Milan campus. The event was attended by design students in great numbers and to support them, faculties and HODs of various design colleges were present too. 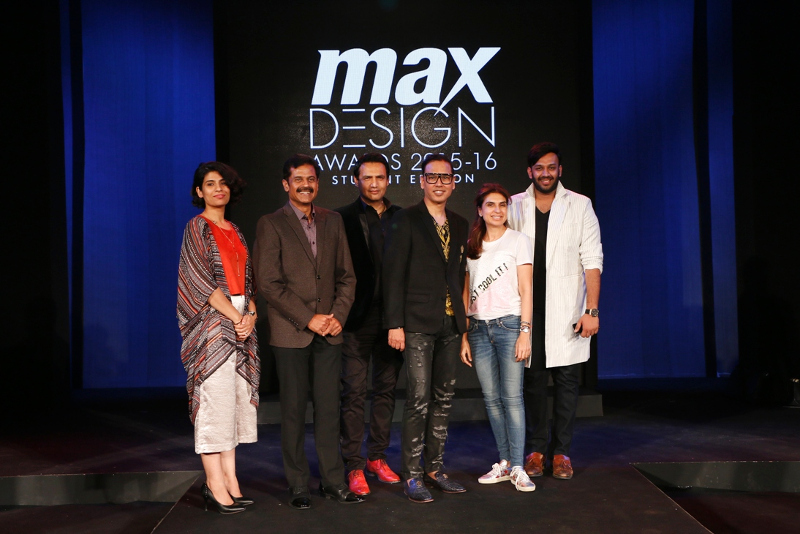 Max Fashion wants to strengthen and scale up this initiative year on year to facilitate the emerging designers of India. Speaking on the occasion VASANTH KUMAR, Executive Director, Max Fashion said,“We at Max Fashion believe that if we give the designers a window to create whatever they wanted within a theme, they would come up with the best creations and that is what exactly happened at the Grand Finale. It’s about what the designers foresee the trends in the future to be – whatever direction they think fashion is moving towards or whatever the next big thing will be. We are delighted to provide a platform to these young guns to show off their skills."